First, a huge thank you to all of the friends, fans, and media for supporting me on this journey as we try our best to eliminate the threat of GHB victim abuse and other related incidents. Our mission is to bring awareness to the problem and provide information for the first line of defense. GHB related violence, attacks, and incidents are on the rise and often there is no way to go after the sick individuals who perpetrate these events. What we can do is create an awareness and have steps in place to be the starting point of the preventative measures we need to wipe this out. I’m grateful that the least awful thing that could have happened is that I was arrested. As many people have pointed out, I could have died from the high dosage or been assaulted and left in a ditch. I was extremely lucky to have ended up in the hands of authorities instead of on a slab in a morgue. I have been working hand in hand with the Crisis Center of Tampa Bay, several local Tampa news affiliates, and other organizations like USF to do our part to get the message out! Please feel free to reach out to the crisis center or 211 if you have experienced any trauma related incidents or refer your friends here if they need help. Check out the Crisis Center website for all of the amazing services they offer. My hope is to bring light to an issue that effects so many from different backgrounds as we help put an end to the shaming and guilt that become a part of a victim’s after an incident. Together we can prevent these types of attacks from happening to others. So as all of us are now aware on Episode 2 of Below Deck there was a serious, albeit comical, veggie debacle. To clarify, I received a separate preference sheet from each of the six guests. For anyone unfamiliar with what preference sheets are they are basically a list of demands that each guest fills out. It is impossible to know exactly what the guests will actually want when they are on board, but we use the information we have to prepare the best we can. 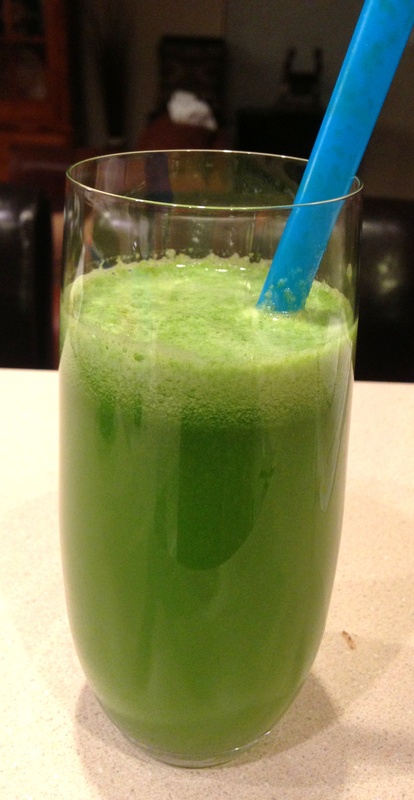 That being said, the green juice was one item of hundreds and we had no way to anticipate what a green monster it would become. 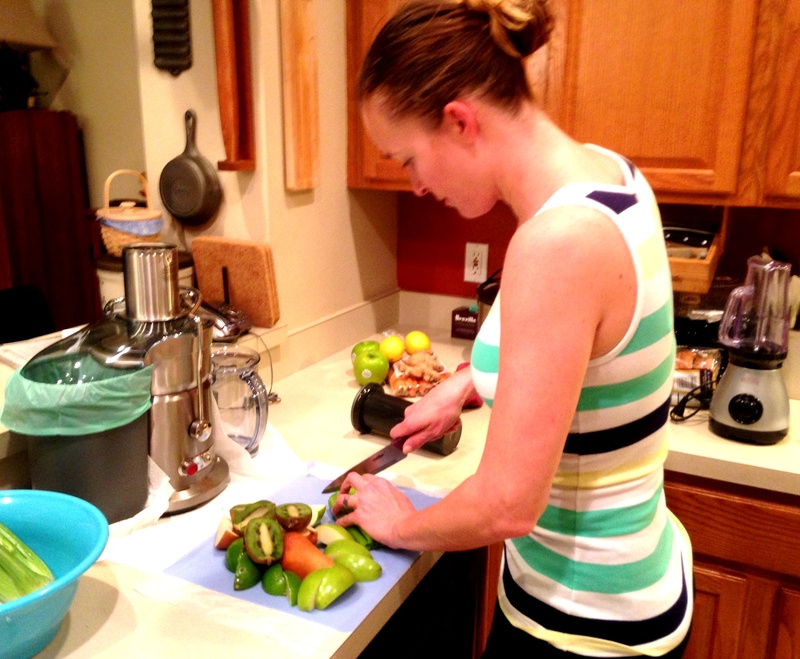 I have worked on the health food side of cooking since he beginning of my career, so juicing is very familiar to me. The key is practice and efficiency. 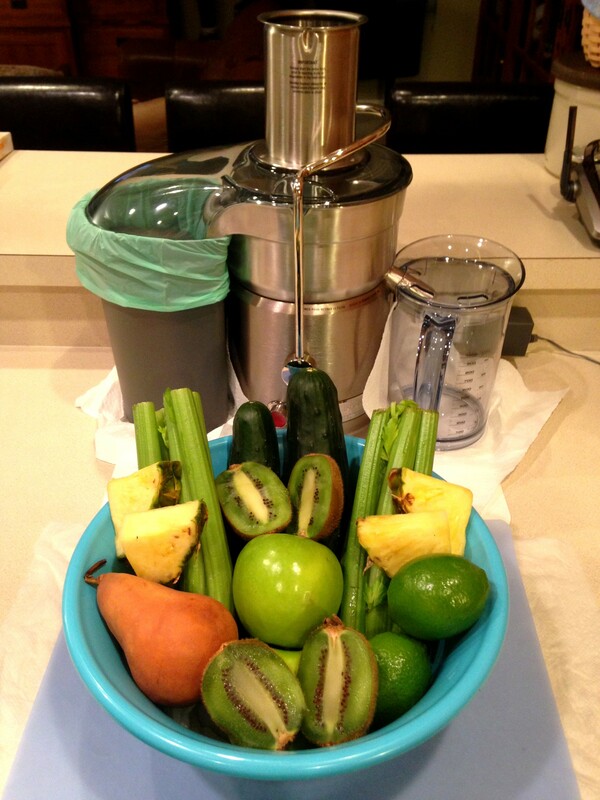 Juicing can be a time consuming process if you aren’t properly prepared. It occurs to me that from an outsiders perspective the level of seriousness with which I approach my position as chief stew on “Honor” may not fully make sense. These uber-wealthy guests are used to the finest service and hospitality standards in the world. We as yacht crew are effectively running a Michelin starred restaurant, a high-end water sports company, and a Ritz Carlton at the same time. Even at that, The Ritz and the high-end restaurants don’t take the time to learn the preferences of their guests in advance so as to give them the most personalized service possible. When was the last time a hotel sent you a preference sheet ahead of your trip to ask what your favorite bathroom soap scent was, or what your favorite candy is so they could have it on hand, or how you like your steak cooked so we never have to ask while you are onboard? It is this attention to detail and care that we take with our guests that, aside from the scenery, sets us apart from just about any other kind of vacation one could take. We try to ensure that our guests feel like they are in fact getting the most out of the ridiculous amount of money they spend on these trips. Maybe a little bit of background on me will help you understand where I am coming from and how I ended up as the chief stew on “Honor”. I came into yachting as a chef/stew on a 106’ Westport. The owner was looking for a trained and experienced chef that could be trained as a stew. I was fortunate to have patient crew to help me learn the stew part of the job; that doesn’t mean it was easy. Learning to juggle your time between cooking for the guests (up to 8 at a time) and keeping the interior in near spotless condition was a challenge. I wasn’t used to being the chef, dishwasher, laundry girl, housekeeper, and waiter. After years of trying to pick up the “tricks of the trade” and self teaching, someone finally turned me on the “The Insiders Guide to Being a Yacht Stewardess” by Julie Perry, which really helped me put a lot of the time management and details in perspective. For years I freelanced, trying out several variations of chefing and stewing until I decided to drop the stew part and focus solely on the chef part which is really where my passion lies. I have cooked for rock stars on tour, politicians at charity events, and even backstage at music festivals like Austin City Limits. Thank you for joining me on this adventure! 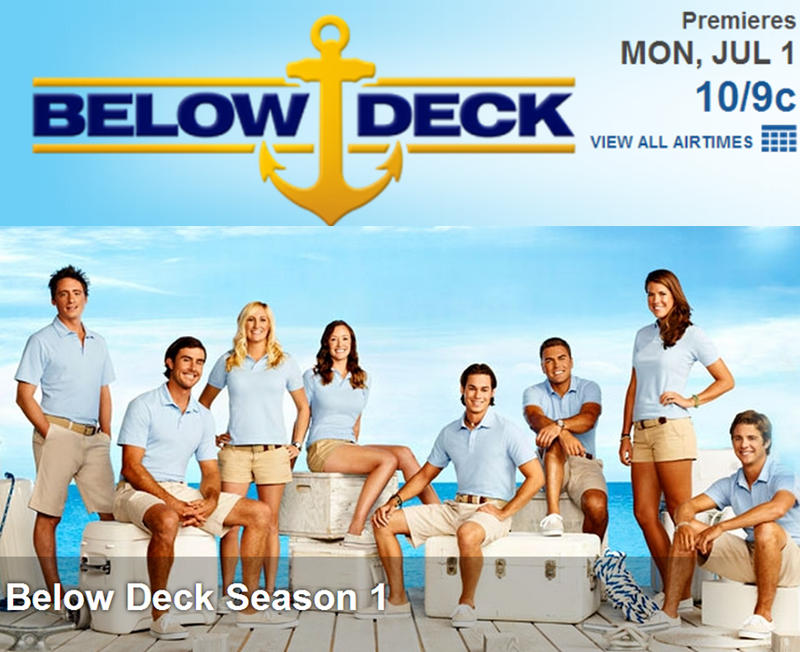 Looking forward to Episode Two of #BelowDeck tomorrow night! This truly marks the beginning of an adventure. 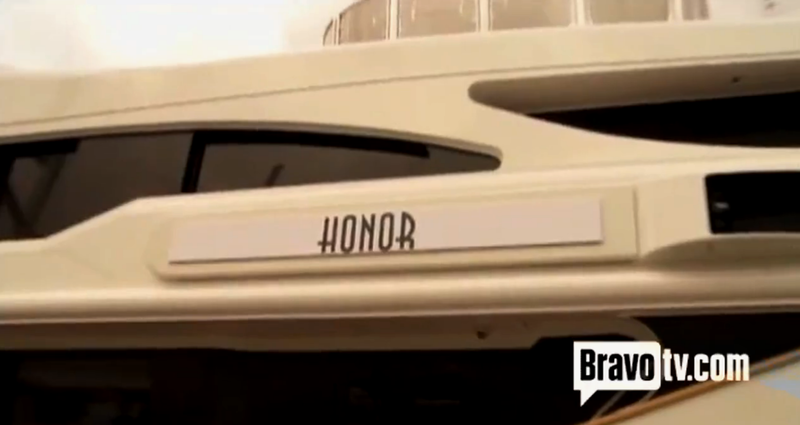 I am so proud to be a member of the Honor crew and so happy to be a part of showing the world the amazing lifestyle that is yachting. I am nervous, but in the best way possible. It’s always interesting to see how crew react to each other and the crew dynamic develops on board yachts, especially when everyone comes together at the last minute (which happens all the time). It’s impossible to predict how all of the personalities will work (or not work) sometimes as the case may be. Often, there is a lag time until everyone shows their true colors and you really get to see how people react under pressure. 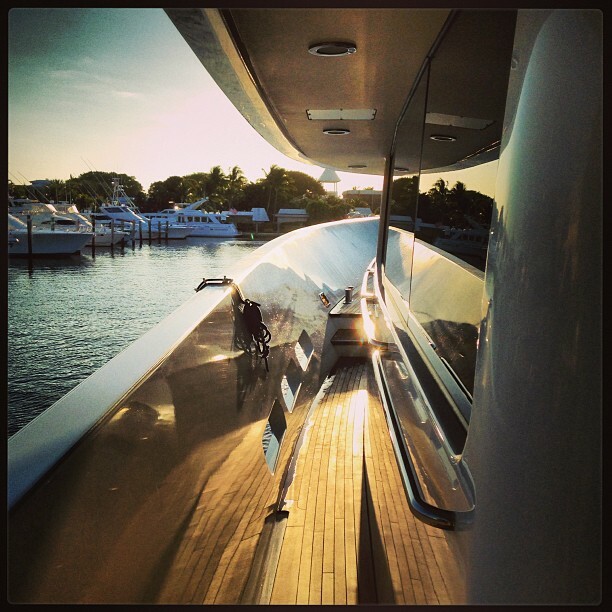 On yachts with lots of money on the line everyone feels the pressure. I feel like at the beginning in any new work situation you always want to put your best foot forward, it’s not always easy when you are literally living on top of each other. It may seem like over kill to come in as the chief stewardess and wield binders and manuals and rulers, but this job is not always as common sense at it seems. In yachting, as in any part of the hospitality industry, consistency in service is key. That principle is what the basis of our industry, especially on the interior, is founded on. It is no understatement to say that a vast majority of the time, despite the efforts and the hard work of ALL the crew on board, the reward we receive on these trips in the form of a tip is a direct reflection of the food and the service. Guests are quick to complain about inconsistencies in service, but I can’t remember the last time a guest thanked the deckhands for the great waxing job or the engineer for keeping the engines running or the light bulbs working. I don’t take the responsibility of service manager lightly because at the end of the day it still comes down to the guests. This was and still is an amazing adventure that would not have been possible with out the creativity and devotion of Rebecca Taylor Henning, Bravo, the entire crew and production crew that came together to make Rebecca’s dream about showing the world the amazing life and career that is yachting. 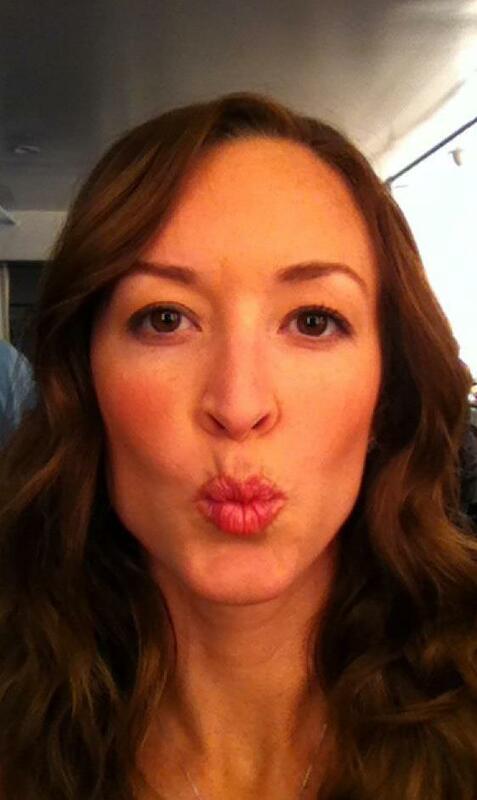 To Rebecca: Thank you for your persistence, your vigor, and your patience. Without your dream and attention we never would have made it to the finish line. I couldn’t be happier to call you my friend and sister in battle. I will never forget what you have made happen here. If anyone, my dear, YOU GET SH*T DONE”! Congratulations and I hope we did you proud! To the incredible people at Bravo: Thank you for giving us as a cast and a production team the ability to see this vision through and giving it the best possible chance at success. I am so excited to call myself a member of your family. Special thanks to Ryan McCormick for all of your advise and help along the way. To my fellow crew members without which this show would not have been such an awesome journey: thank you for being a part of an incredible experience and for teaching me about myself, my career, and a lot about leadership. It wasn’t always an easy road, but we all came out of this (I hope) with an awesome story to tell our children someday. To all of the people in the yachting industry: Thank you for at least giving this show a chance. We all know what an incredible opportunity yachting provides for the ones willing to take the jump and it is my hope that this show will be a positive catalyst to promote great and amazing change for the good of everyone. Some of this show will no doubt serve as a good industry wide lesson for “what not to do”, but even that presents us with great learning tools. Thanks to all of the companies and organizations that have had overwhelming support from the beginning and to those who are now beginning to see how we can all benefit from this amazing opportunity to move yachting back to the place where we belong. To the fans: I am astounded by the outpouring of excitement and support #BelowDeck has received. You are the ones who will carry all of our hard work forward and revel in the guilty pleasure that our chosen career path is. I am so happy for you escape with us and to embrace us as a crew along with our individual flaws (because we all know without them there would be no excitement). Thank you for trusting Bravo again for creating programming worth the very valuable free time you do have. I am excited to bring you on this crazy trip with us! Enjoy! I cannot thank you all enough for your support and love in this process. You all make me the person I am today and I am so lucky for that. Mom, Dad, and my grandparents: thank you for giving me a reason to be proud of who I am and where I come from. I am blessed. To the amazing team at StardustBlue Media: Thank you for teaching me Chinese. I love you for it! I cannot actually believe that today has finally arrived! What a range of emotions from nervous to scared to excited and then ultimately proud. It has been a long journey and the season is just beginning! I’m excited to be surrounded by such amazing supportive people and I’m looking forward to connecting with all of the new fascinating folks I will be lucky to meet. 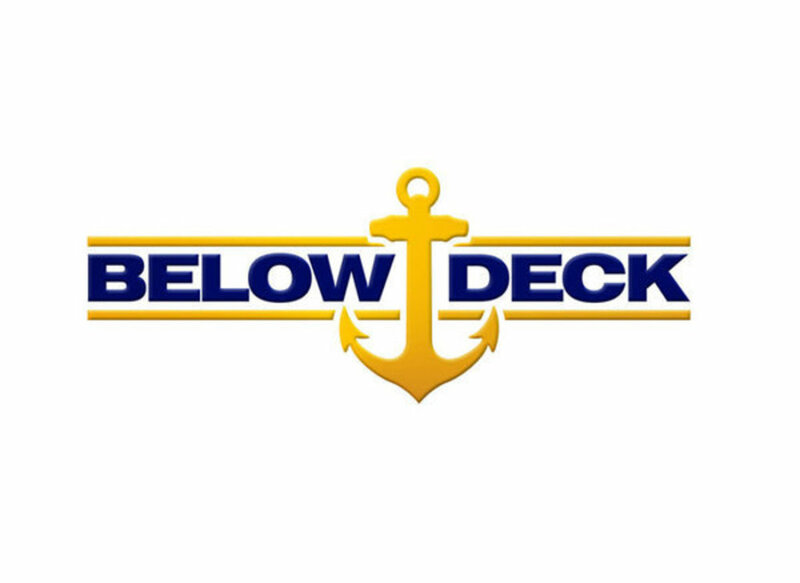 I am honored to be a part of the Below Deck crew and a new member of the Bravo family. I’ll be tuning in with all of you to ride the roller coaster and give insight to the twists and turns as I live tweet during episodes from @AdrienneGang . 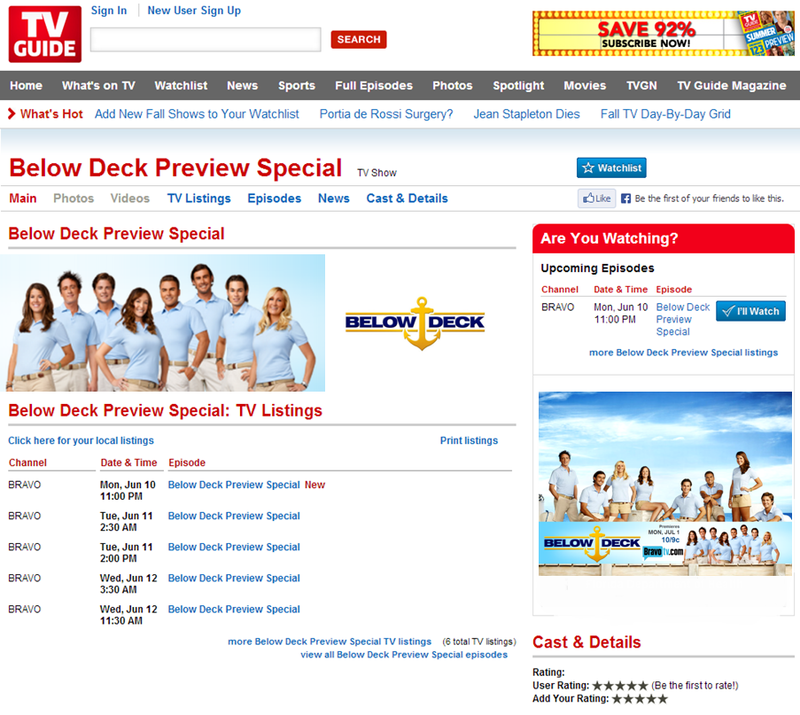 NEW YORK – May 8, 2013 – Bravo Media cruises into uncharted waters when its new docu-series “Below Deck” premieres on Monday, July 1 at 10p.m ET/PT. The series follows a group of crewmembers living and working aboard “Honor,” a 164’ mega-yacht and kicks off with a half-hour preview special airing on Monday, June 10 at 11p.m. ET/PT. The upstairs and downstairs worlds collide when this young single crew, known as “yachties,” live, love and work together onboard the luxurious, privately owned yacht, while tending to the ever-changing needs of their wealthy, demanding clients. While each crew member brings a different level of experience, they all share a love for this lifestyle that enables them to travel to some of the most beautiful and exotic locales in the world. Each episode features different charter guests — from millionaires, to entertainers to hard-partying well-heeled friends — as they move onto the boat for an at sea adventure. Aleks Taldykin, First Officer- Aleks Taldykin has always had a passion for the Seas. The 27 year-old Los Angeles native began working on fishing boats when he was 12 and got his first Captain’s license at 19. At 20, he started his own company, Elite Yacht Management. His client list includes various celebrities and even heads of state. As a “Captain to the Stars,” Aleks prides himself on providing the best service possible and that combined with his personable manner and sense of humor makes him a favorite of his clientele. Adrienne Gang, Chief Steward – A veteran of the yacht industry, chief stewardess Adrienne Gang lives by the philosophy “work hard, play hard.” The 29-year-old is the picture of professionalism during work hours, but off the clock she loves to relax and enjoy the beautiful destinations she visits. In conjunction with her career as a yachtie, she is also a professional Chef who cooks for celebrity entertainers while they are on tour. She has a knack for knowing what clients want before they ask for it. Yacht life suits her because she loves to travel and becomes restless when in the same place for too long. CJ LeBeau, Second Engineer – C.J., 32, discovered his passion for sailing while spending several months vacationing with friends after college to exotic locales like the Caribbean, Columbia and the San Blas Islands. This coastal Californian native, who serves as marine engineer aboard “Honor,” likes to explore the nightlife while in port and tries hard not to get into too much trouble. 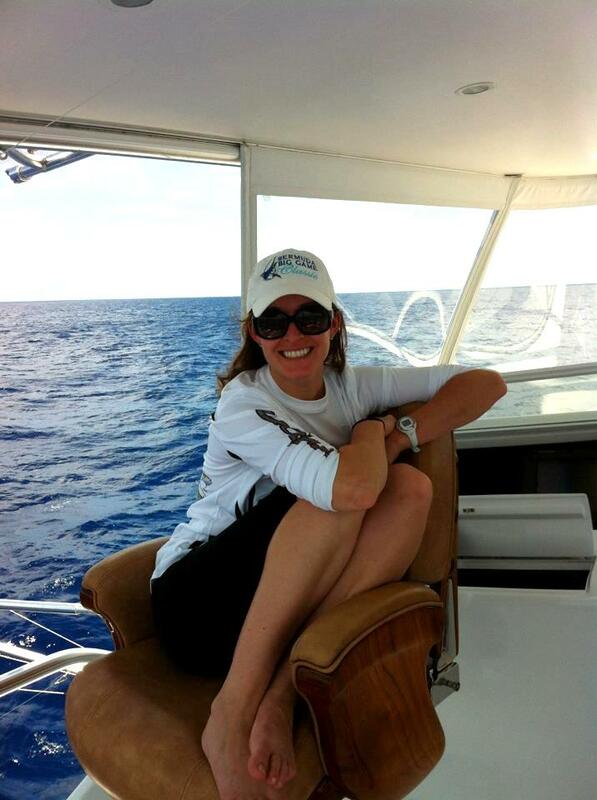 Samantha Orme – Steward – A 25-year-old Palm Harbor, Florida native, Samantha has yachting in her blood. She got her start as a stew working charters for her parents, who owned a yacht that her father built, by hand, over the course of 20 years. A graduate of Florida State University, Samantha believes her industrial engineering degree sets her apart from the typical uneducated “yachty” drifter. During her senior year at FSU, she worked with NASA redesigning the avionics mounting structure for the Ares I Rocket. She loves the feeling of being on the open sea and building close relationships while living in close quarters. As a steward, “stew,” Samantha is responsible for helping the chief stew in all aspects of the ship, from cleaning to laundry to making sure the guests are happy and everything in between. David Bradberry, Deckhand – David Alanson Bradberry immediately joined the Marines after graduating high school, where he received the majority of his experience on the water. David served as a Marine Embassy Guard for three years, which afforded him the opportunity to see the world, being stationed in places like Japan, Liberia and Italy. David’s love of travel, work ethic and sense of adventure make him a perfect candidate for working at sea and knows his Marine training will prove beneficial while at sea. Ben Robinson, Chef –Ben Robinson, 31, is accomplished both on land and sea. He worked under Italian master chefs in Florence and gained an apprenticeship at 3-Michelin Star restaurant “The Fat Duck,” based in the United Kingdom. Ben has been the head chef on yachts for over 7 years, including the largest sailing yacht in the world. Ben was born in Oxford, England and continued to attend boarding school there when his parents moved to the US. He now lives in Ft. Lauderdale when he is on dry land. Ben enjoys his bachelor status and enjoys himself when in port. Ben dreams of one day owning his own Michelin-Star restaurant. Eddie Lucas, Deckhand – Eddie Lucas, 26, was raised on the east coast attending boarding schools and exploring recreational diversions on the Chesapeake and Buzzards Bays. Early on he learned to ski, fish and took advantage of any offered outdoor educational opportunities including earning a degree in Adventure Education from Green Mountain College, becoming proficient in rafting, rock climbing and scuba diving. After surviving a car accident five years ago, Eddie learned to live life to the fullest and to appreciate everything he has. Kat Held, Second Steward – This 27-year-old ‘jokester’ began a career in yachting after a summer of recreation sailing in her home town of Rhode Island. Working several years as an assistant in a psychiatrist office, she grew an interest in discovering more of what the outside world had to offer. One day, after watching the yachts come in and out of Newport, she purchased a book on how to become a stew. This led her to finding her first job as a yacht stewardess in Miami, Florida. The series is produced by 51 Minds with Mark Cronin and Courtland Cox serving as executive producers and James Bruce as co-executive producer. Bravo is a program service of NBCUniversal Cable Entertainment, a division of NBCUniversal, one of the world’s leading media and entertainment companies in the development, production, and marketing of entertainment, news, and information to a global audience. Bravo has been an NBCUniversal cable network since December 2002 and was the first television service dedicated to film and the performing arts when it launched in December 1980. For more information, visit WWW.BRAVOTV.COM. Follow us on Twitter at HTTPS://TWITTER.COM/BRAVOPR.